Researchers ask how MRI availability affects imaging exam orders. Does the availability of imaging equipment play a role in what studies physicians order after a patient has a stroke? That’s the question a study by Max P. Rosen, MD, MPH, a radiologist at Beth Israel Deaconess Medical Center in Boston, and colleagues attempted to answer. Their study, published in the June issue of the Journal of the American College of Radiology, compared the imaging of stroke patients at a hospital in the United States with those treated at a hospital in Canada, where access to MRI scanners is more limited, and concluded that capacity does indeed affect imaging utilization. “There clearly was less frequent use of MRI scanning at hospitals with limited access to this modality,” Rosen says. Rosen and Frank Levy, PhD, a study coauthor and economist who analyzed the data, say their results are preliminary and call for further investigation. Robert DeLaPaz, MD, chair of the panel that wrote the ACR’s appropriateness criteria for cerebrovascular, agrees the study is preliminary and points out that it has major flaws that raise questions about the validity of comparing the use of available technology in the two countries. The researchers did not look at the admitting diagnosis or when patients arrived at the hospital for treatment, DeLaPaz says, and imaging protocols differ depending on whether more than three (and possibly up to 4.5) hours have passed since the stroke onset. When stroke patients arrive at a hospital within three hours, current guidelines indicate they should quickly undergo a noncontrast CT scan to look for hemorrhage to help determine treatment but not delay treatment with additional imaging. “If the scan shows there’s no hemorrhage and no other contraindications are present, the patients can be treated with thrombolysis,” explains DeLaPaz, a professor of radiology and director of neuroradiology at Columbia University Medical Center in New York. After the initial three to 4.5 hours, treatment options are different, and more complex imaging is recommended to better characterize the tissue in and around the stroke zone, DeLaPaz says. 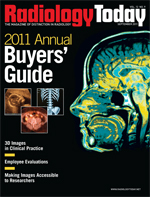 “It is important to accurately measure the volume of the completed stroke—infarct—and identify the surrounding tissue penumbra that may be under perfused—ischemic—but salvageable by medical therapy or interventional catheter therapy,” he explains, adding that MRI is recommended over CT for this purpose because it more specifically identifies the infarct using diffusion-weighted images (DWI) and shows the “mismatch” with the perfusion-weighted images (PWI) in the surrounding ischemic penumbra. The study also doesn’t indicate whether the severity of the strokes in the two patient populations was comparable, DeLaPaz says. The therapy, imaging requirements, length of hospitalization, and subsequent outcome for transient ischemic attacks and “minor” strokes differ markedly from large infarcts in eloquent brain regions, he says. “The study’s limited comparison of comorbidities and age between the patients in the U.S. and Canada does not capture this important potential difference in the patient populations,” he says. It’s conceivable that many in the stroke population at the U.S. hospital were late arrivals “and so their greater use of MR imaging was medically appropriate to see whether they had treatable tissue or if the infarction had already progressed to end stage and there was nothing that could be treated,” DeLaPaz says. Levy, a professor of urban economics at the Massachusetts Institute of Technology, says in designing the retrospective study, the authors wanted to use data that were easily available, “data we already had on hand,” to see whether a comparison of U.S. and Canadian hospitals translated to different ways people were treated and whether there were any differences in outcomes as a result. Rosen, who is also affiliated with Harvard Medical School, says the researchers compared comorbidities and age among the patient populations but did not have access to data on the time between the first symptoms of stroke and when the patients first appeared in the emergency department. He says the patients included in the study were not those presenting with symptoms of stroke but rather those who were ultimately diagnosed with stroke. While it’s not possible to draw conclusions about the outcomes based on the imaging that was done, Rosen says it’s still fair to suggest that the availability of the imaging equipment could have had an impact on what studies were ordered and when. “Although the study was limited by its retrospective design, differences in outcomes were noted that warrant further analysis in a prospective study,” he says. In an ideal world, Rosen adds, the question of whether scanning capacity affects utilization would be answered in a randomized controlled trial. However, given that ethics and operational difficulties would make such a study difficult, if not impossible, this “natural experiment” between the United States and Canada is a good starting point, he says. Rosen says the question of capacity was worth investigating because advanced medical imaging is a large and growing component of the rising cost of healthcare in America in recent years. Between 2000 and 2006, advanced imaging payments (for CT, MR, and PET) under the Medicare Physician Payment Schedule rose more than 100% from $6.9 billion to $14.1 billion. Since 2005, imaging has accounted for one-fifth of all physician payments under Medicare. The researchers chose to compare a hospital in the United States and one in Canada because, while similar numbers of CT scans are performed per population, the disparity between MRI scanners is large: In 2005, Canada had 5.5 scanners per 1 million people while in 2004, the United States had 26.6 scanners per 1 million people—almost five times as many. A total of 2,677 patients—918 at the U.S. hospital and 1,759 at the Canadian hospital—were included in the study. The U.S. hospital study population represented 80% of the stroke patient admissions at that facility during the study period, while the Canadian patients in the study represented 93% of the stroke admissions at that site. The age of the patients at the two sites was nearly identical. However, the U.S. hospital had far more female patients than the Canadian hospital. There was a difference in the selected comorbidities of the patient populations. The U.S. hospital study population had a greater proportion of patients with atrial fibrillation, coronary artery disease, diabetes, and hypertension than the Canadian study population. However, the Charlson indices (which predict 10-year mortality for patients with a range of other diseases, including heart disease and cancer) were identical for the two populations, Rosen says. The patients at the U.S. hospital also received anticoagulants at a greater rate than the patients in Canada (60% vs. 47%). As the researchers suspected, the U.S. hospital utilized MRI significantly more than the Canadian hospital. MRI accounted for nearly 21% of all imaging at the Boston site vs. 9.11% at the Canadian hospital. Patients in the United States underwent a significantly higher number of head and neck MRI scans (95.75 studies per 100 patients) compared with patients at the Canadian hospital (41.39 studies per 100 patients). The researchers also found that as age increased, the number of MRI studies per admission decreased. The rates of in-hospital complications were similar across the two sites. However, the inpatient mortality rate at the U.S. hospital (7.1%) was significantly lower than the inpatient mortality rate at the Canadian hospital (11.3%), Rosen says. Also, significantly more patients in the U.S. hospital were discharged with support services, rehabilitation, or acute care and long-term care. The length of stay among U.S. patients was significantly shorter than the length of stay of Canadian patients (4.69 days compared with 13.3 days). The results of the analysis, Rosen says, raise an interesting question in the debate over the appropriateness of imaging and the availability of costly imaging resources. The U.S. facility used MRI more on stroke patients and had better outcomes, he says. If the availability of imaging capacity drives utilization but has no clinical benefit to patients, “one could argue for stricter regulation for imaging capacity,” but that was not the case.